“Listen to Me Marlon,” Stevan Riley’s documentary on Marlon Brando features previously unheard voice recordings of the actors and presents a theatrical life lesson to the audience. The 15th edition of the !f Istanbul Independent Film Festival will bring icons of art, literature and cinema together for the presentation of a carefully selected display, giving visitors the chance to get a glimpse into the lives of the stars as a part of the "Life & Art" section. The exclusive section will investigate the personal lives of Marlon Brando, Robert Mapplethorpe, Iris Apfel and John Berger. Having premiered at the Sundance Film Festival, "Mapplethorpe: Look at the Pictures" is the very first documentary to be dedicated to the life and works of provocative legendary American photographer, Robert Mapplethorpe. The film will be screened in Istanbul after the Berlin Film Festival. Filmed by Fenton Bailey and Randy Barbaro for the American TV network HBO, "Mapplethorpe: Look at the Pictures" is an extensive investigation into the life of Mapplethorpe, who was also featured in Patti Smith's National Book Award-winning book "Just Kids," and his legendary love story with Smith. Stars from Debbie Harry and Blondie, Fran Leibowitz, Brooke Shields and, of course, Patti Smith, will discuss Mapplethorpe along with many famous artists all of whom have his inspiration instilled in them. The film also unearths the never-before-seen video footage of the legendary photographer. Marlon Brando and Howard Brookner will also be the guests at the "Life & Art" section from the world of cinema. 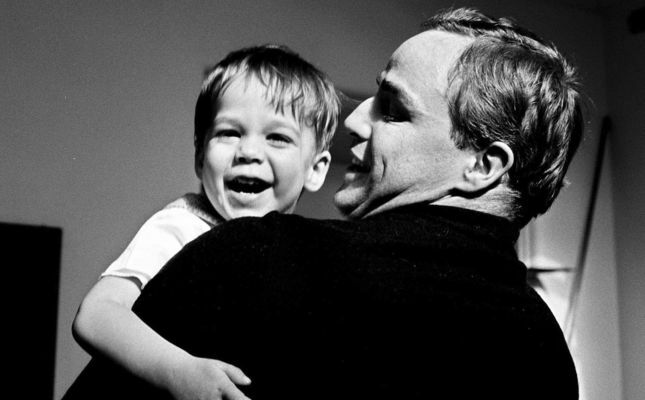 Crowned as the Best Documentary of the Year by the San Francisco Film Critics' Association and Best Screenplay by the International Documentary Association, "Listen to Me Marlon," Stevan Riley's documentary on Marlon Brando, features previously unheard voice recordings of the actors and presents a theatrical life lesson to the audience. Uncle Howard is an exciting film of director Howard Brookner, who passed away in 1989 at the age of 35, known for his documentary, "William Burroughs," as well as his first Hollywood film featuring Madonna. The documentary, featuring Brookner's previously unreleased recordings, is directed by his nephew Aaron Brookner and produced by Jim Jarmusch. The "Life & Art" section will also have a surprise for fashion lovers. The last film of legendary documentary director Albert Maysles, who passed away last year, will be screened for the first time in Turkey at the !f Istanbul Independent Film Festival. The film depicts the glamorous and sincere world of Iris Apfel, New York's most colorful fashion icon of the last 50 years. 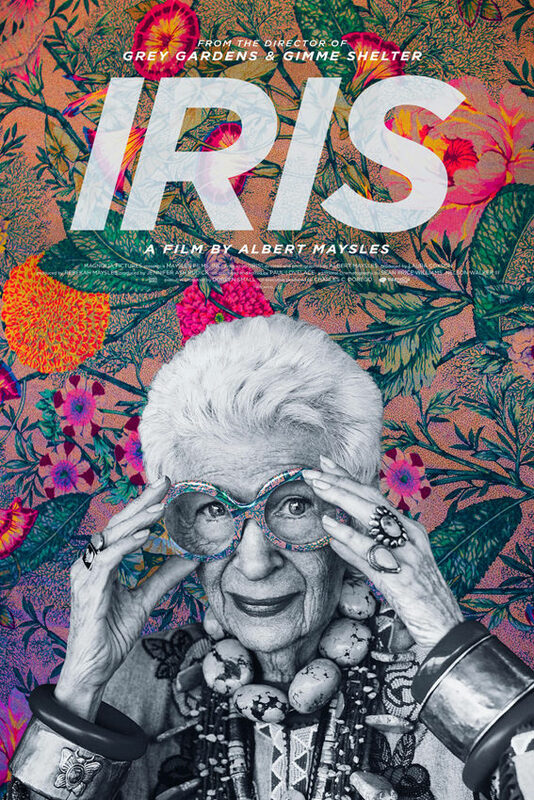 The film puts the spotlight on the gorgeous clothes and style of Iris Apfel along with her glamorous and intimate personal life. In tandem with these striking documentaries, the "Life & Art" section also includes experimental films. "The Seasons in Quincy: Four Portraits of John Berger," which places John Berger in the rhythm of the seasons in the tiny Alpine village of Quincy, a village he migrated to after abandoning the metropolis in 1973. The film is comprised of four short films by four different directors, including director Tilda Swinton. "It's Me, Hilary: The Man Who Drew Eloise" is a short documentary on Hilary Knight, looking back on his life as an artist and his connection with the widely popular Eloise books. The film features interviews with the artist as well as the rising star of the Hollywood Lena Dunham, who is a big fan of Knight. Directed by Benedikt Erlingsson, whose debut film as a director "Of Horses and Men" was very popular at the previous !f festival, "The Show of Shows" is a visual chronicle comprised of vintage footage from circus entertainment, freak shows, and the like, all hailing from the 19th and 20th centuries. The last film that will be featured in the "Life & Art" section will be "Tig," a poignant and playful documentary on the famous American comedian Tig Notaro, who discovers she has bilateral breast cancer, falls in love, gets famous, and receives treatment.